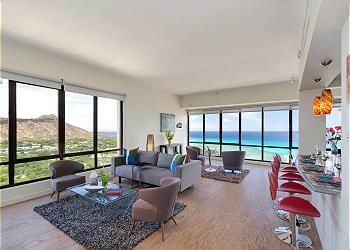 Captain Cook Resorts is a licensed travel agency that markets vacation rentals for Captain Cook Real Estate, a full-service real estate company founded in 1991 and located in Honolulu on the island of Oahu. Our office is comprised of three divisions: Real Estate Sales, Long Term Property Management, and our division, Vacation Rentals & Property Management. 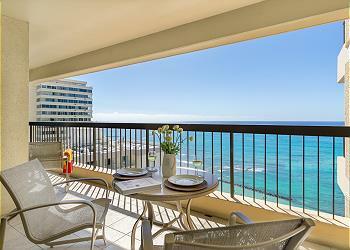 Captain Cook Resorts oversees an ever-expanding inventory of quality privately-owned vacation rental condominiums in Waikiki and the Diamond Head/Gold Coast areas of Oahu. years. Originally from Florida, she came to Hawaii and was instantly hooked. she's not working hard, she enjoys stand up paddling in beautiful Waikiki. diverse culture in the islands, and is proud to call Hawaii home! pastime is reading and listening to KPOP (Korean pop) music and dramas. local attractions and introducing them to popular local cuisine. she enjoys craft beading and is a big fan of UH Football and UH Wahine Volleyball games. Japan for 12 years where he learned to speak fluent Japanese (日本語も話せます). his way to provide that extra something to make your stay with us more comfortable. you need during your stay, please to not hesitate to contact Byron. up in Japan so he is fluent in Japanese (日本語) as well as English. Meet Kana, a bilingual Reservation Agent who was born in Japan and raised in both the United Kingdom and the United States. After recently earning her Bachelor of Fine Arts at the University of Hawaii at Manoa, Kana continues to be active in the art scene. Knowledgeable of all things Waikiki, feel free to ask her about art, hiking and the foodie scene here on Oahu! Petra is our Operations Manager here at Captain Cook Resorts. She oversees all our renovations and remodels. She ensures our rentals are up to date and are looking great for our guests. Petra grew up in the San Francisco Bay area and moved to Hawaii in 1976 after graduating from high school. She met her husband 1 month after that and never looked back. She enjoys spending time with family and her 3 dogs. She also enjoys gardening and going to the movies. Kathie is our Director of Business Development and Client Success. 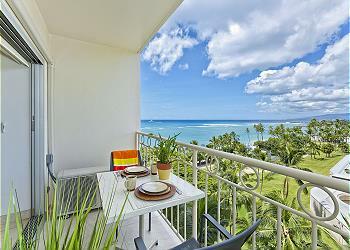 A licensed Realtor Associate with over 25 years in the travel and hospitality industry, Hawaii is her passion. Born in Anchorage, Alaska, she has been visiting the islands as her favorite destination for many years. Kathie enjoys painting and capturing the beauty of Hawaii in art form. She originally worked with Captain Cook Resorts in 2011 and then, after a short time in Seattle, is thrilled to again be part of the Captain Cook Resorts team. Kathie’s focus is providing the highest quality of service and continued growth for our guests and owners. Suzanne joined Captain Cook Real Estate in 2004 as a licensed Realtor Associate. She has held various management positions and now assists with vacation rental acquisition. Her backgound includes over 25 years in marketing and selling ski tour vacation travel packages to Rocky Mountain and western Canadian ski destinations. Suzanne is a supporter of live jazz and classical music performances here in Honolulu. 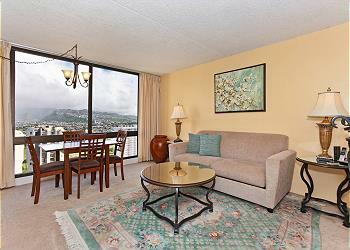 One-bedroom with AC and beautiful Ko'olau Mountain views! Sleeps 4! 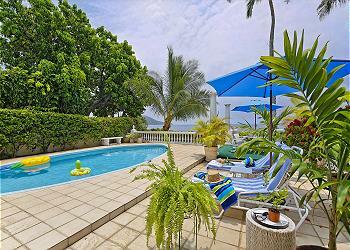 Great location, quick walk to beach, includes FREE WiFi and Parking! 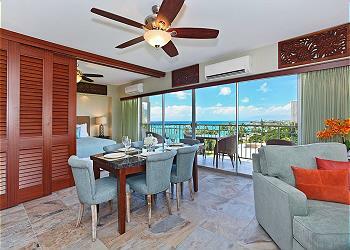 Escape to Relaxation with these Incredible Ocean Views! 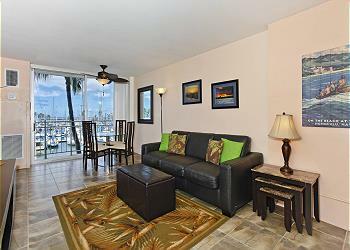 Ocean View Studio just Steps to Waikiki Beach! 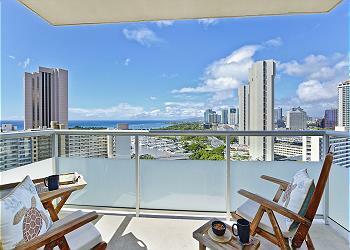 Partial Ocean / Diamond Head Views + Fitness Center! 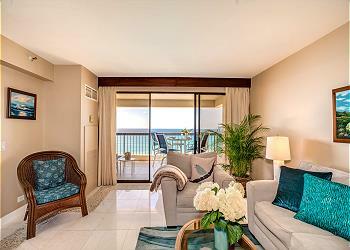 Your Resort-Style Oasis with Marina and Ocean Views! 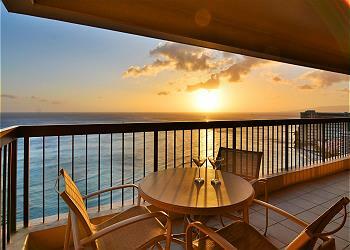 Expansive Ocean View! FABULOUS location! 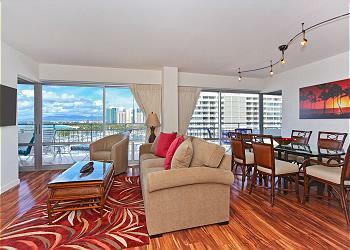 Stylish studio, kitchen, city/mtn views, close to everything! Sleeps 2. 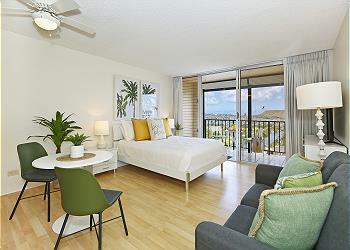 Updated one-bedroom with AC, WiFi & views of the marina! Sleeps 4. 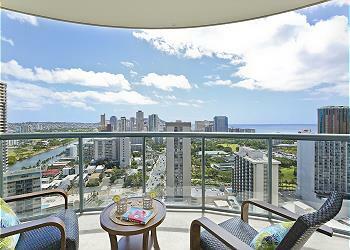 Heart of Waikiki! 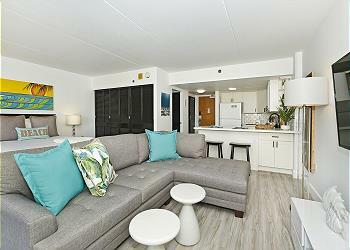 Modern 2 bedrooms/1 bath, short walk to the beach! Washlet! 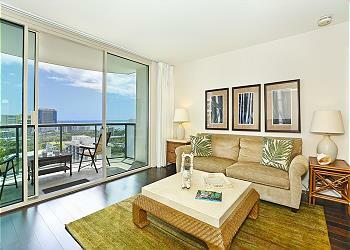 Luxury 2 bed/2 bath corner Waikiki Shore condo w/ocean views! Free parking! 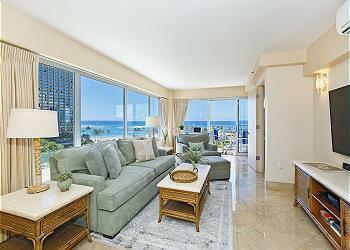 Spectacular Diamond Head and Ocean Views! One Free Parking! 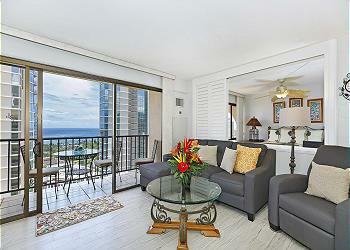 Heart of Waikiki With Partial Ocean View! Friday Night Fireworks! Washlet! 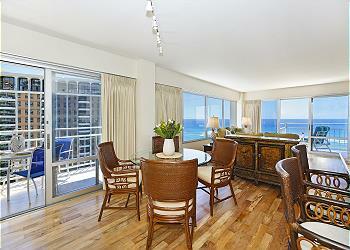 Beachfront, sweeping ocean views! Newly remodeled, A/C, Parking, Washlet! 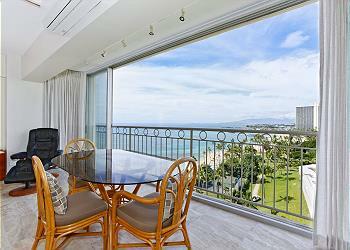 Fabulous Diamond Head and Ocean views from this two-bedroom penthouse suite! 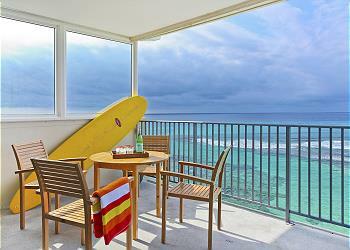 Sweeping Ocean Views, remodeled, steps to beach, washlet, parking! Sleeps 4. 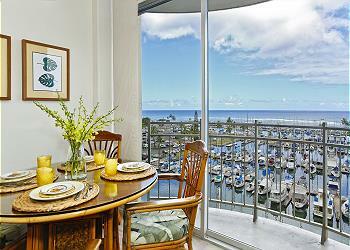 BEAUTIFUL Remodeled Condo with Ocean, Marina, & Sunset Views! 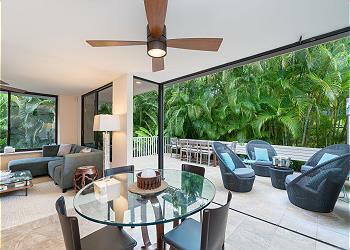 Large Lanai! INCREDIBLE OCEAN VIEW! A/C, WiFi, Pool, one Parking, Sleeps 6! SPECTACULAR OCEAN VIEW! A/C, WiFi, POOL, FREE Parking, Sleeps 6! 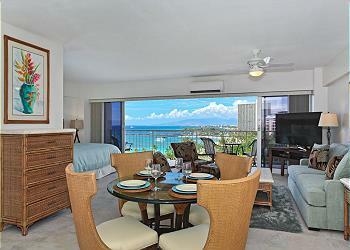 Spacious Family Retreat at Queens Court on Slopes of Diamond Head!